NHPC Jobs Recruitment Notification 2018.NHPC Limited inviting applications for the positions of Trade apprenticeship in electrician, mechanic, fitter, welder, plumber and COPA trades.Interested and Eligible Candidates can apply for the positions. Last Date for Submission of Application is on September 10th, 2018..
Total number of vacancies to be filled in NHPC is 30. For COPA post the qualification is 12th standard with ITI. For remaining posts applicants must possess 10th with ITI. Minimum age for COPA post is 18 years, minimum age for remaining trade applicants is 14 years. Candidates through interview will be selected. 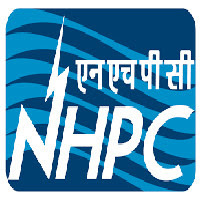 Mode of applying for NHPC recruitment is through online mode from 23rd August 2018 to 20th September 2018.
http://www.nhpcindia.com/ is the link for applicants to apply directly.